06.04.18 - Marley gave birth to 5 little puppies 4 girls and one little prince. We ware extremely happy about it. 28.12.16 - Jona has been mated by Thoran between the years, an outstanding male, who has already procreated a number of good puppies. We are very excited about this promising connection. 04.10.15 - Three females were born at our kennels' co-operative members' on October 4th. We congratulate. 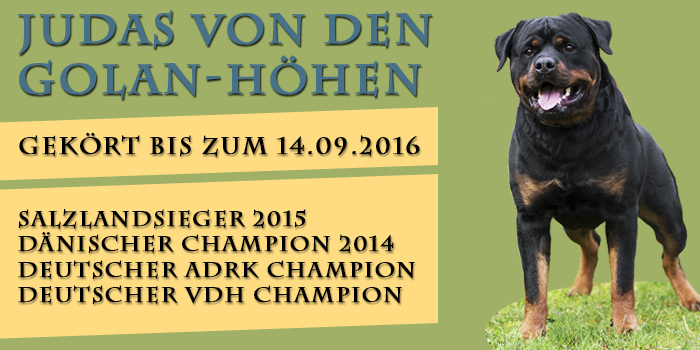 31.08.2015 - Judas became ADRK-Clubwinner at this years 45th club show in Ratingen-Lintorf. We are extremly proud and especially happy about this success. Our gratitude to eyeryone, who supported and helped us, to achieve this success. 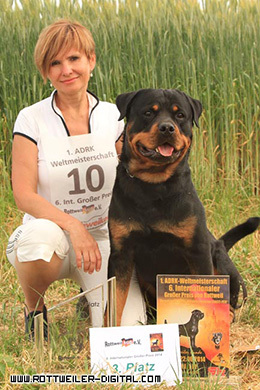 21.06.2015 in Velence/Hungary - V1, CAC, CACIB and BOB at the internationalen Dog-Show (Judge: Dr. Vadócz Éva ), - Therefore Judas has all the necessary requirements for the title "international champion". 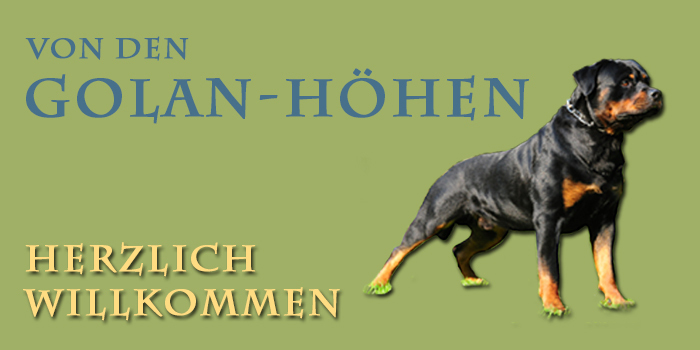 In addition, he made 2nd place in the FCI-Group 2 in the cathegory "Best dog of show". 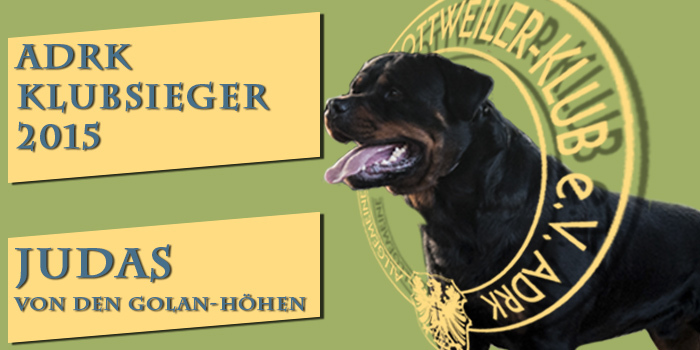 29./30.05.2015 Porta Westfalica - Judas has passed the FH2 examination at the competition of the ADRK BG "Bückeburg und Umgebung". 14.02.2015 - On Valentine's day we got a special gift from our Hanka. Five strong boys and one cute little girl. Click here for first pictures. 18.09.2014 - We are very lucky and especially proud, that our Judas passed the bonitation. The result is valid until 14.9.2016. 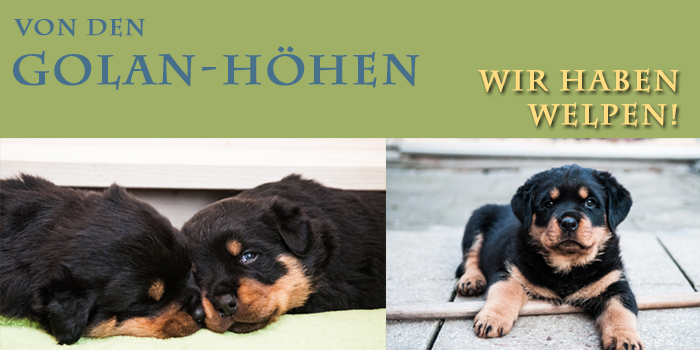 03.09.2014 - We congratulate our kennel co-operative member Adelheid and Herman Dittmar to three outstanding puppies(2/1). Melina, Moses and Medox. 22.8.14 - We congratulate Irina Meier to all her achievements, that she had with Indio in 2014. Especially mentioned the 3rd place at the ADRK world championships 2014!!! ADRK Champion soon to come!